Your needs do not permit you a continuous participation? Contact us, we may find together solutions in line with your needs. 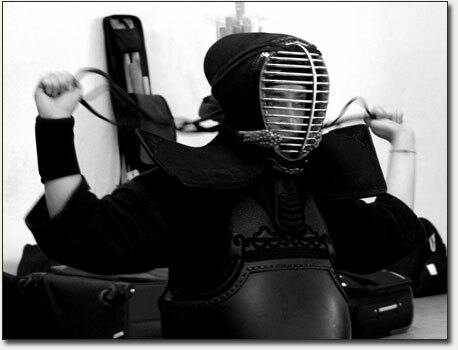 You already practice Kendō and you are curious of visiting the Accademia? You're spending some time around Rome and you would like to train with us? The doors of Accademia Romana Kendō are always open to the athletes, in the scheduled times and in the usual dojo. It is always our pleasure and honour to host practitioners from other dojos all from any country of the world. It is regarded kind to call or send a mail in advance of training. In the pictures: an ARK kendoka prepareing for the fighting.